Book exchange at the National Library! Hohohoh, have some old books that you want to exchange for others? Well then, lock in 25th April 2009 in your calendars! 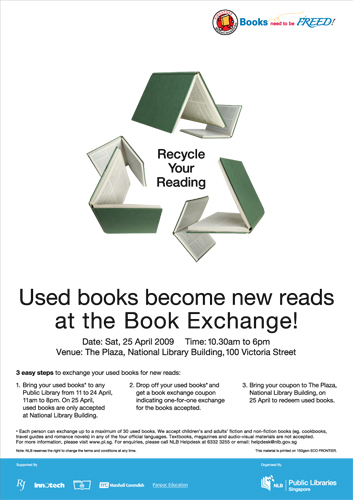 Continue reading Book exchange at the National Library! Posted on April 7, 2009 August 11, 2010 Categories The LiteraryTags book, book crossing, exchange, national library, nlb, recycle, singapore2 Comments on Book exchange at the National Library! 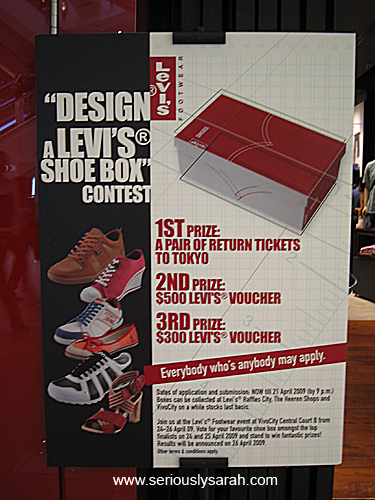 I chanced upon this poster about the Levi’s shoe box design competition. Let’s have a close up look, shall we?